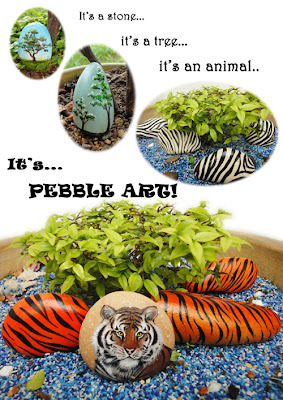 Last 3 weekends, we were doing Pebble Art @ Singapore Zoo. 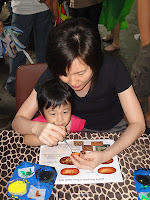 It was in conjuction with the Zoolymics organised by Singapore Zoo. 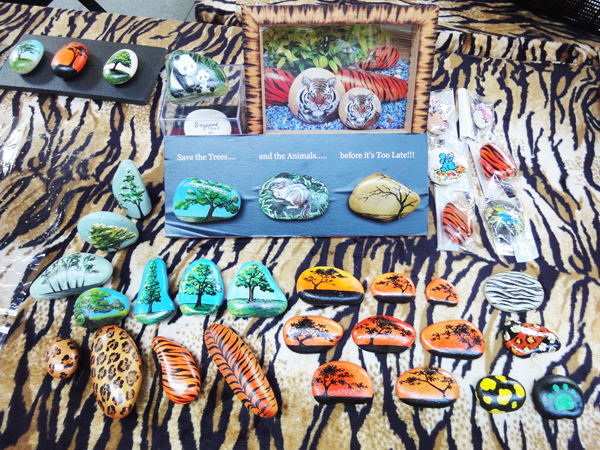 For this event, the designs are more on trees (It's the International Year of the Forest this year) and also animal prints. Here's the booth and some of the designs done up by the participants. 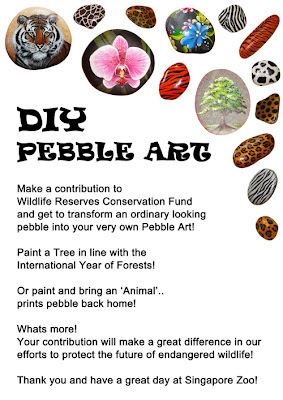 To participate in the Pebble Art, all that participate need to do is just to make a donation to the Wildlife Reserve Conservation Fund and they get to sit down and bring their very own Pebble Art back home! Here's the 2 posters we did up for the booth.. Here's some of the participants busy creating their masterpieces. 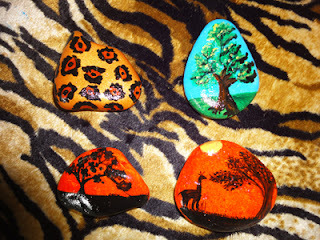 And here's a participant who painted a pebble while her children are busy at Zoolympics. I assume that's the name of her children on each side of the pebble.. She even wrote 'Zoolympic' and the date on the pebble! Nice piece of delicate work! 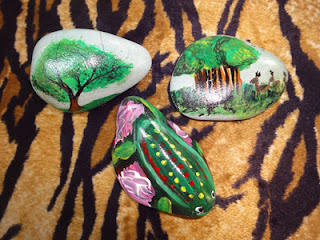 Here's some close up of nice pebble done up by the participants.. 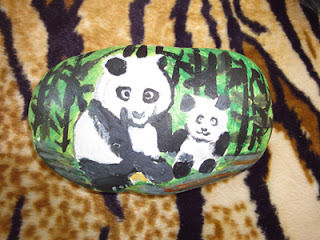 The panda bear was painted by a boy by looking at one of our sample pebble. Cute!! 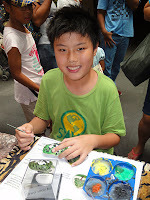 Here's some done up by some of the Singapore Zoo staff. There was a talented staff who drew a very cool Pangolin, but it's a shame that we forgetten to take a picture of the finished product!